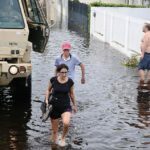 by Jake Frankel | Sep 26, 2017 | Emergency Relief, Featured, Fundraising & Awareness, News, Press ReleasesTags: Feeding America, Gulf Coast, Harvey, Houston, Houston Food Bank, hurricane, Monsoon floods, Nepal, Texas, U.S. Immediately after Hurricane Harvey struck Texas and monsoon floods battered Nepal earlier this month, TPRF distributed $40,000 in grants to nonprofit partners who were in strong positions to help those who needed it the most. In the weeks since, TPRF’s generous supporters have more than doubled that amount, earmarking donations to help ensure that people suffering from these tragedies will receive the ongoing assistance they require. “Thank you to all of the TPRF donors and volunteers who make this emergency aid possible. It makes a crucial difference for thousands of people in some of the hardest hit areas of the world,” says TPRF Board Chair Linda Pascotto. In Texas, TPRF monies are going to the Houston Food Bank, a nonprofit which has already used the initial $20,000 grant to provide approximately 60,000 meals for residents struggling in the aftermath of Harvey. “We truly appreciate your generosity at this difficult time in the Houston community,” says Houston Food Bank Director of Major Gifts Paula McKenzie. 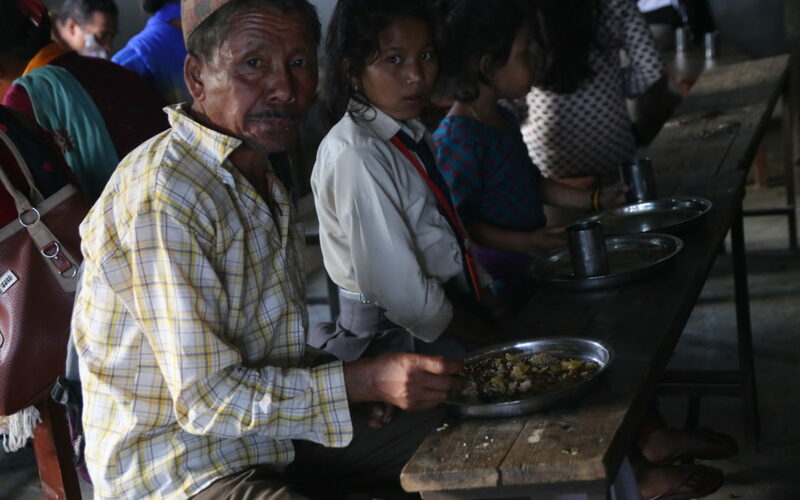 The emergency food aid comes in addition to the ongoing efforts of the Food for People (FFP) program in the Dhading region of Nepal, where TPRF provides nutritious daily meals to approximately 2,000 children each day. TPRF also sponsors FFP programs in India and Ghana, distributing hundreds of thousands of meals to hungry children each year. The model program is greatly increasing health, scholastic achievement, and economic outlook in the communities it serves. 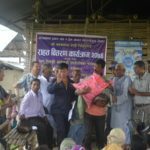 The flood relief effort and FFP are just a couple of the many initiatives TPRF employs to help fulfill its mission of helping people live with dignity, peace and prosperity around the globe. Since its inception in 2001, TPRF has made more than 160 grants to help people in 40 countries.